I am subbing in for Matty on this one because he apparently had better things to do than watch the Friars. have been miserable all day today. Both teams played like old men at the Y. I digress. I am here to talk about the Friars and recap the shellacking they took from the Georgetown Hoyas. The Hoyas raced out to a large lead early in the first half and never truly looked back. Providence had some runs in the second half but could never close the deficit to less than 5. I don’t want to be overly critical of the hometown team because it wouldn’t be fair. Georgetown is the more talented team and it showed last night. 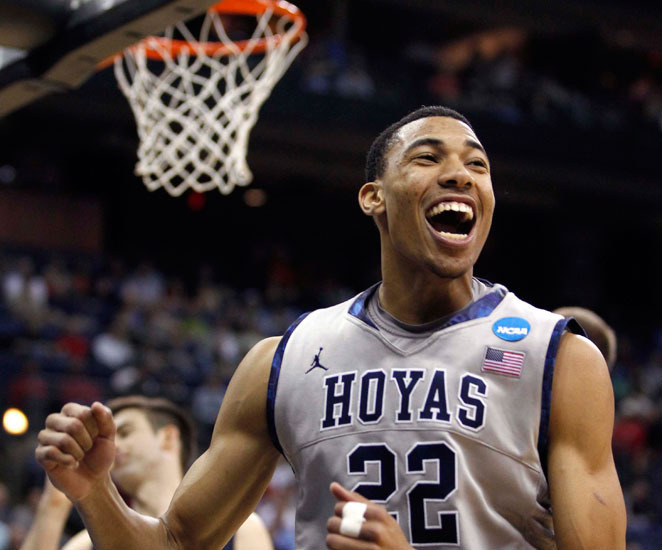 Otto Porter, Jr had 20 points on 8-13 shooting to go with 8 rebounds before fouling out. This kid is a top 10 pick come June. As far as Providence goes, I feel they are way too dependent upon the Bryce Cotton 3 ball on offense. Cotton was 5-12 from downtown. I don’t like that he took TWELVE 3’s. I understand his knee has been giving him trouble but when he is slashing to the basket rather than camping out behind the arc, the Providence offense is much more productive. He got to the charity stripe once and that was on one of his normal fouled when shooting a 3 ball plays. 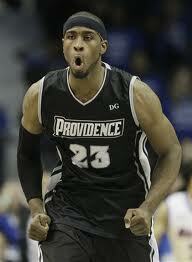 The Friars have become reliant on Cotton because LaDontae Henton has fallen off the face of the earth. His 37 point effort against Brown might have been the worst thing that could have happened to this kid. Henton thinks he is a 3 point shooter. He isn’t. He is a scorer. Henton is shooting 25% from deep this season. The artist formerly known as Buckets needs to get back to what made him so good a year ago. He had a sweet mid-range game and got to the basket creating high percentage shots for himself. Henton took six 3’s last night. Too many. I have always been high on Henton and thought he would be the next Ryan Gomes or MarShon Brooks. I understand sophomore slumping but I think his slump is only because he has gotten away from what makes him good. Kadeem Batts had a quiet double-double for the Friars last night with 10 points and 11 rebounds. I like what Batts has done so far this season. He has had his down games, Syracuse comes to mind, but that happens. The problem is PC can’t afford him having these off nights. Batts is a main cog in the offense. He needs to get his 15-19 points a game. If he is playing well and scoring, it opens up the floor for Cotton, Fortune, and company. There is apart of me that believes the scouts that submitted their reports to ESPN on Kris Dunn are as real as Manti Te’o’s girlfriend. The other part of me smacks myself and realizes the kid is a freshman surrounded by so much hype that he was the savior of the program. It really is unfair to him. What I have seen is an inexperienced athlete that can make plays but doesn’t read defenses. He is a little too active on defense which leads to careless fouls. He has shown no offensive ability other than good handle and quickness. But he is a freshman. JayVaughn Pinkston and the Villanova Wildcats come to The Dunk on Saturday looking to get back on track after a 58-43 loss to the Pitt Panthers. The Friars simply can’t afford to slip to 1-5 in Big East play if they want to avoid playing on day one of the last Big East Tournament. To the Matty faithful, I hope my substitution and minutes on the court weren’t as useless as Brice Kofane.